Are you following Buggy and Buddy on Pinterest? 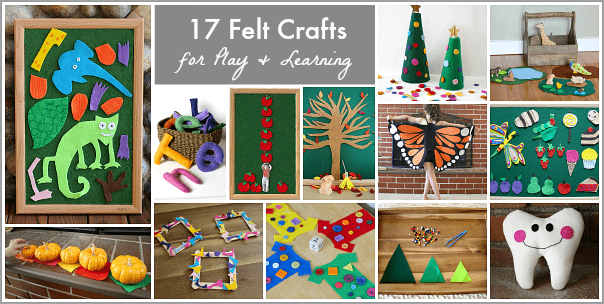 If you’ve been following Buggy and Buddy for a while, you know I’m a huge fan of felt! It’s one of the simplest materials to use and is very durable. 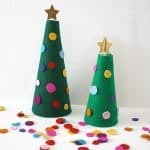 Toys and activities I’ve made with felt have lasted many years! 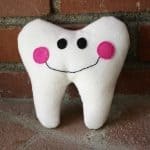 There’s many types of felt available out there, but my all time favorite is 100% wool felt which can be found on many Etsy shops and some local stores. 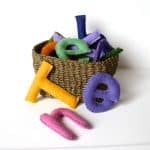 Because it can be pricey, I reserve wool felt for special toys and gifts I hope will last for years to come. 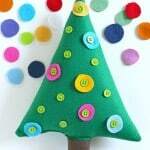 A much more inexpensive option is craft felt you can purchase at your local craft store. 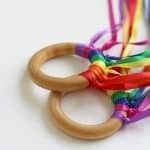 I have tons of this on hand and use it for games or learning activities for the kids that often come to me spur of the moment. I also use it to make felt pieces to go along with stories! 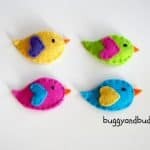 I’ve put all my favorite felt projects and crafts together here for your to easily browse through. 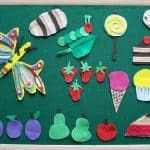 Some of my felt crafts are perfect to use with felt boards. 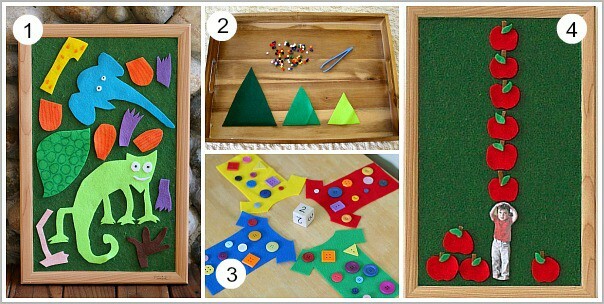 (Be sure to check out my tutorial for making your own felt board– it’s super easy!) 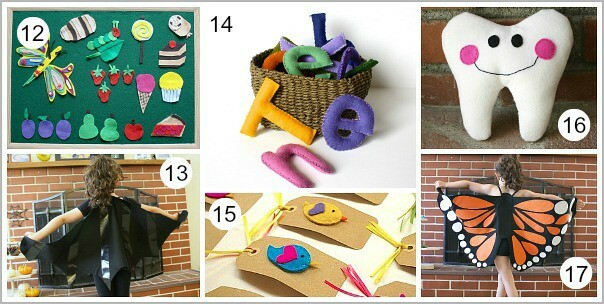 Hopefully you’ll find all kinds of felt inspiration! 4. 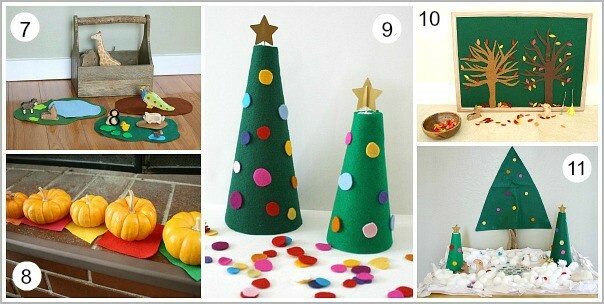 Counting Felt Set for the story, Ten Apples Up on Top! I love felt!! Can’t wait to give these a try. Thank you!